From now, all of our accommodation has heating (inclusive or optional). Our campground & hostel is ideally located on the verge of Amsterdam, only about 30 minutes from the fantastic city centre. Itâ€™s a beautiful location for a city campground, in the middle of the vivid heart of Holland. Yet this is a quiet, peaceful forest where you can relax or enjoy nature by having a nice walk around or doing some swimming, biking or canoeing. 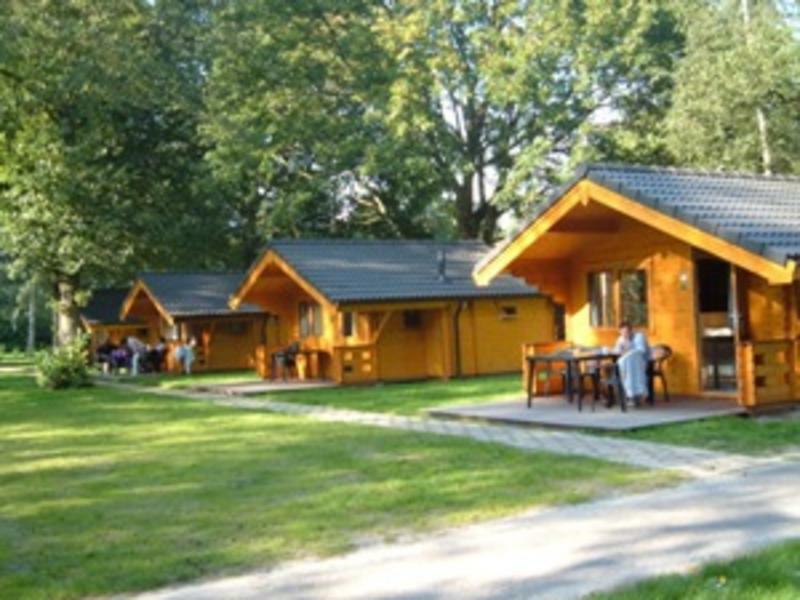 Our hikerâ€™s cabins are basic, small wooden houses, suitable for two, four or five persons. They are equipped with either two singles (the two-person cabins) or two bunk beds (the four-person cabins). The five-person cabins have two bunk beds and one single bed. Besides that, the cabins are fitted out with a table and chairs and one electric socket (two ampere). Heating is optional. Our camping chalets are well isolated chalets with four bunk beds, so theyâ€™re suitable for a maximum of eight persons. Thereâ€™s also cupboards, a table and chairs. There is one electric socket (two ampere) and heating is also possible (optional). Weâ€™re open 24hrs with a huge common room where you can chill out and meet your fellow travellers or surf the web with your laptop/phone and our free Wi-Fi. If youâ€™re not in the mood, you also have Wi-Fi in your room. Our campsite is easily reached by public transport with the metro (15 minutesâ€™ walk away) and the bus. Thereâ€™s also a night bus every night!! For bookings with arrival and departure between 9th December 2013 and 1st March 2014, heating is free! By metro/sneltram 51: Get off at Spinnerij and from there it's a 15-minute walk. Please print the map above if you want to do this. Or take metro/sneltram 51, get off at Brink and take bus 199 in the direction of Airport/Schiphol). It will stop in front of the campsite. By bus 172 from Central Station: Take it in the direction of Kudelstaart and change at Amstelveen Bus Station. From here take bus 171 and get off at Bovenkerk, Schinkeldijkje. From there it's 10 minutes' walk. Please print the map above if you want to do this. Please note that buses 171, 172 and 199 are not included in the GVB tickets (only included in the disposable OV chipcard). On the A9 exit number 6 (Aalsmeer). At roundabout 1, follow the direction of Amsterdamse Bos. At the next roundabout go to the right and the third roundabout go to the left. Then take the second traffic light to the left. GPS address (if our own address is not recognised): town 'Aalsmeer' and street 'Schinkeldijkje'.